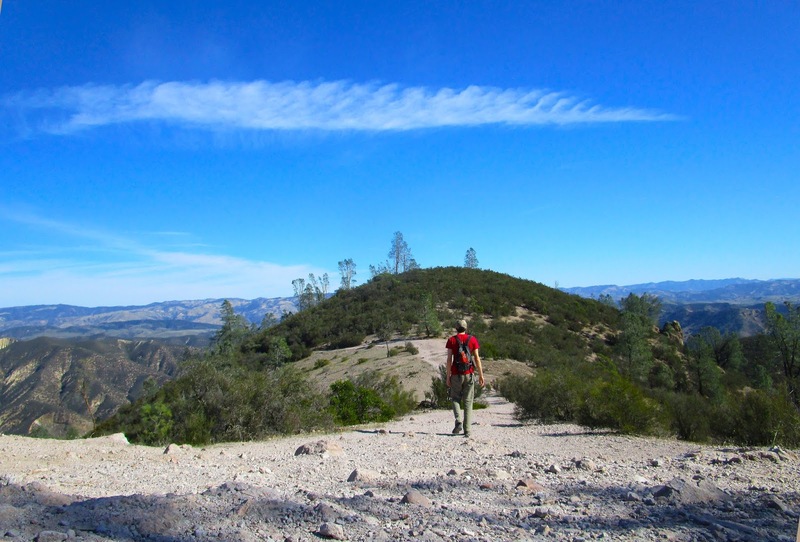 Originally one of the first national monuments set aside to be protected by Teddy Roosevelt, Pinnacles became our 59th national park in 2013 thanks to former President Barack Obama. In all of my travels, I've never been to any national park properties west of the Rocky Mountains. 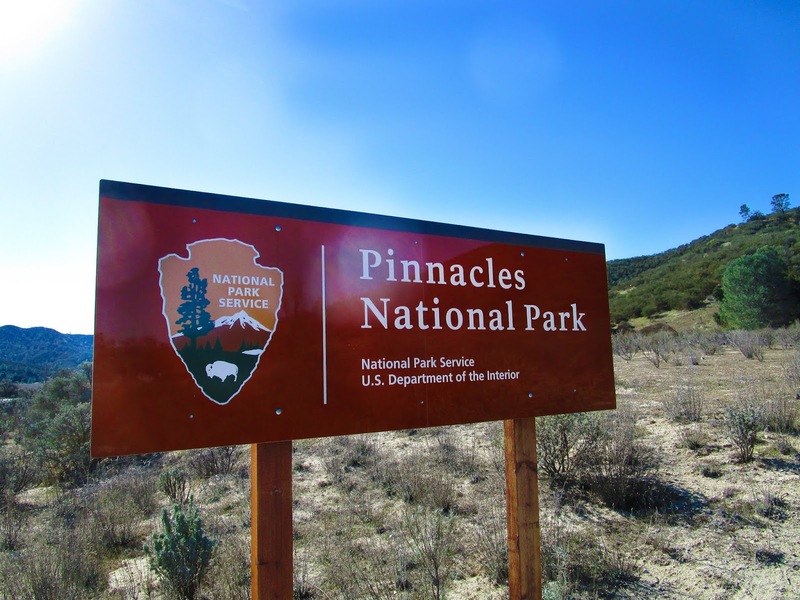 But that changed when I was able to squeeze a three-day adventure and explore one of our newest national parks in the system, Pinnacles. 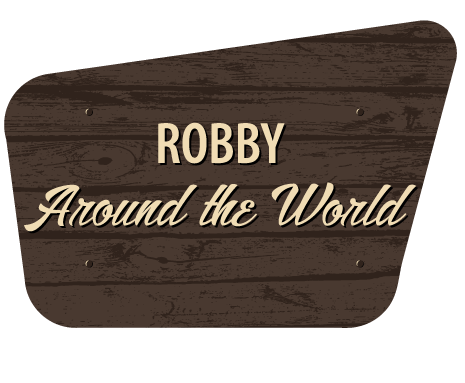 For years, I've been so eager to check out and explore this special place in California. I've always felt as if it's our duty, as Americans to venture and discover these treasured swaths of land set aside for us whether it be state parks or national parks. It's like a calling I was born with, therefore I was beyond stoked to be bagging another national park and crossing it off my bucket list. 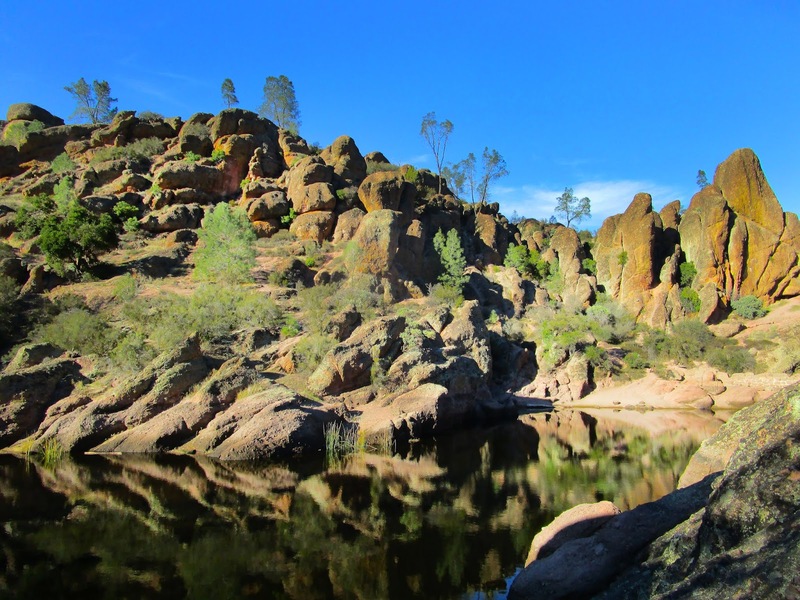 Pinnacles National Park is an easy two-hour drive from the metropolitan San Jose. When you exit off the main interstate and merge onto Highway 25, you're surrounded by Cali's finest mountains on either side of you towering skywards in the distant crop fields. This part of the state is obviously "ag" country, passing large farms with weathered signs perched out front advertising dried apricots for sale or apples. Highway 25 turns into Highway 146 which narrowly winds its way into the park entrance eventually. While for the longest time Pinnacles was the newest national park in our country, it's since been recently replaced by Gateway Arch National Park in St. Louis, Missouri (yes, that arch). Everywhere I look here, there's land that sparks adventurous thoughts and understandings of why this place received that honorable "national park" designation. Pinnacles gets its unique name from its iconic sharp rock formations you see in this shot. It's also a haven for the California Condor, the largest bird in America. Biologists here track, monitor, and strive to learn as much as they can about the condor, around the clock. With nearly a 10-foot wingspan, these birds were nearly extinct years ago but through efforts like the ones happening at Pinnacles, they're now growing in numbers and protected. That conservation effort in itself, makes this park even better. There are two entrances at Pinnacles, and I rolled into the park via the Eastern entrance. When I arrived, I pitched a tent in the quiet campground with plenty of open and wooded sites for both tent campers and RVs. Spread throughout are electrical sites, water hookups, coin-operated showers, and...a swimming pool when the weather permits. Note that the national park's visitor center shares a building with the privately-run campground's office which also acts as a general store, all on the eastern side of the park. 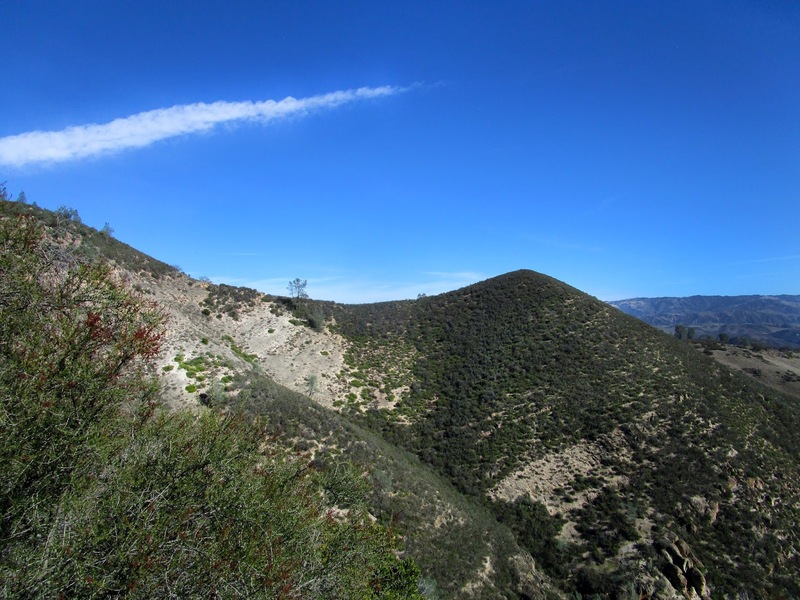 To reach the main hiking area, continue on Highway 146 deeper into the dramatic landscape. 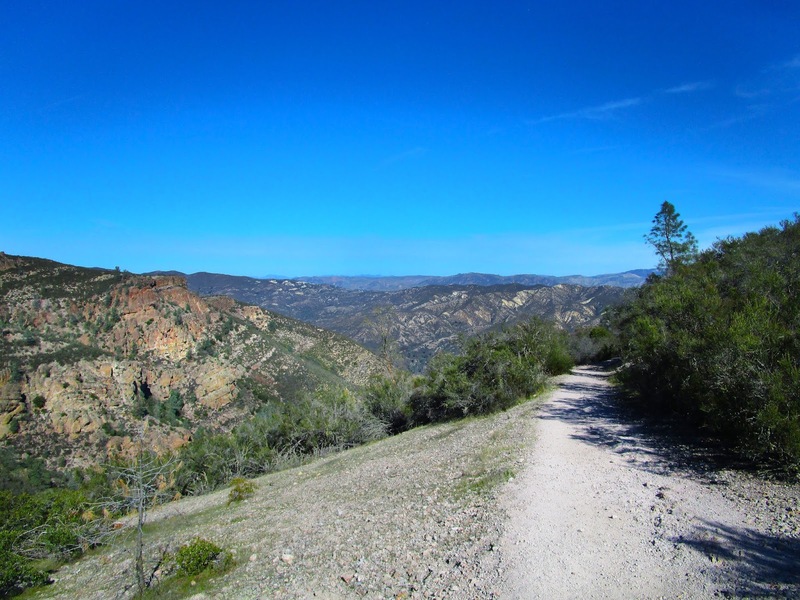 Most of the park's trails depart from either the Bear Gulch Day Use Area, where Pinnacles' headquarters is located or from the parking area a few minutes further on down the road. 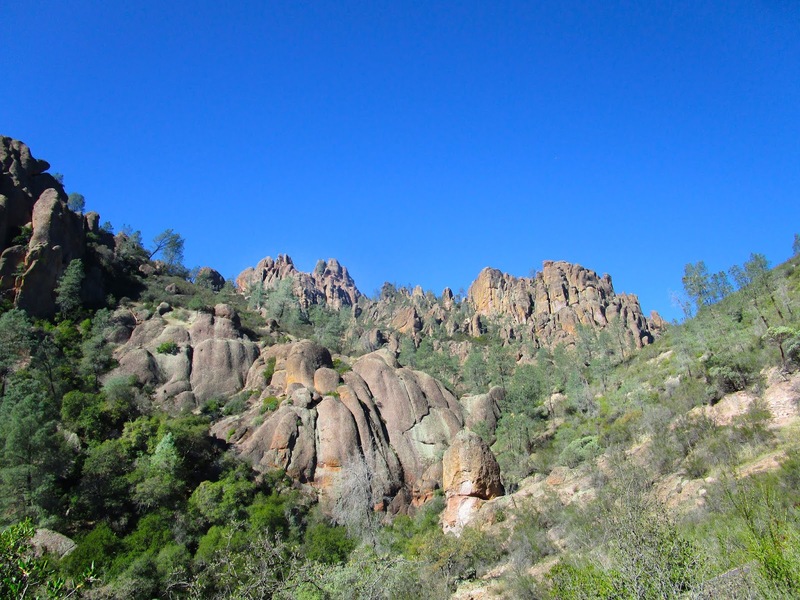 My game plan was to hike up the Condor Gulch Trail which climbs high towards the Pinnacles rock formations I described earlier and pictured above, and then continue east along the High Peaks Trail for a few miles. Out of all the national parks I've explored so far over the past four years, the views when hiking at Pinnacles might be at the very top of my list. From atop the High Peaks Trail I was convinced instantly, that Pinnacles mirrors exactly what heaven must feel like. Skylines of California's humbling tan mountain rows dotted with dry trees, energetic big blue skies with clouds straight from a picture book; there was plenty of elevation gain but every step higher was so worth it. 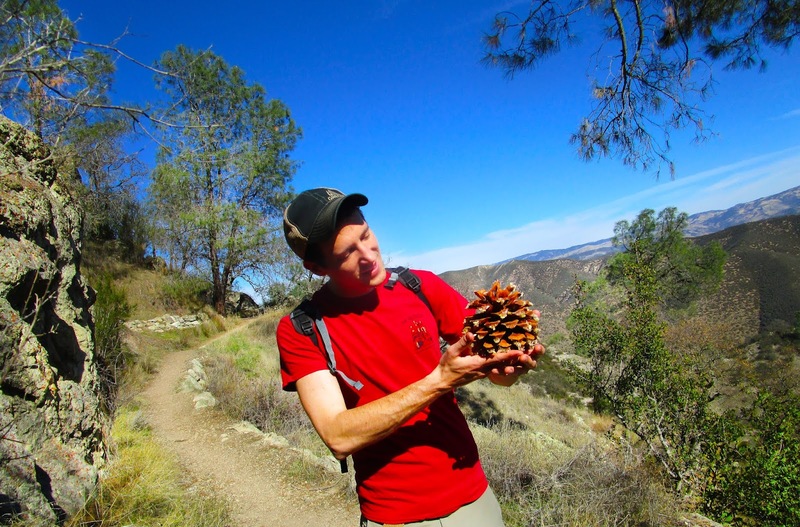 The High Peaks Trail began curving its way down chaparral hillside past and a grove of gray pines that dropped massive pinecones some bigger than my head. Being the tree lover that I am, I was geeking out. Straight fascinated by the size of such a cone these 40-70ft tall dark gray bark pines release. Being the inner child that I am, I picked one up and had its thick sap stuck to my fingers for almost a week after. Again, a moment like this on the trail makes you realize how important it is to use all of our senses when in the outdoors. The trail steeply made its way back down into the Bear Gulch area, which I followed the Bear Gulch Trail a little over a mile through a dusty and shaded wash to then connect with the Moses Spring and Bear Gultch Cave Trails. As you approach the western part of the Pinnacles landscape, the Little Pinnacles range appear, blocking the view to a place on the map called Frog Canyon. Many of the geological showpieces here at Pinnacles reminded me of similar such phenomenon at Utah's Canyonlands National Park. It's here in the park where there's an entire different atmosphere begging to be hiked through: cold, damp, and dimly lit talus caves. Bring a flashlight and sturdy hiking boots or shoes, the caves are narrow and inviting because your curiosity will rise. If you're eager to head into the caves, call the park and check on the status of them before arriving as they do close after heavy rain. Don't miss the giant monolith puzzlingly stuck in between a narrow slot canyon that you'll walk under. Crawling around through the Bear Gulch Caves, light appears and the trail climbs upwards towards a hidden utopia: the a reservoir with a glass-like surface at the bottom of slow moving Bear Creek. This was a perfect spot to tale a break and be present in the never-ending wilderness, once formed by volcanoes, that Pinnacles offers us. From this blissful spot, you could also continue on the trail to reach North Chalone Peak, the highest point in the park at 3,304ft or break trail and explore further up calm Bear Creek. I almost jumped into the reservoir to cool off but several long California gartersnakes had already beat me and were swimming around. Fear not, these are non-poisonous snakes and beautiful creatures. I looked down at my watch and calculated I had about an hour or so left of daylight, so I began hiking back towards my car parked at the trailhead. 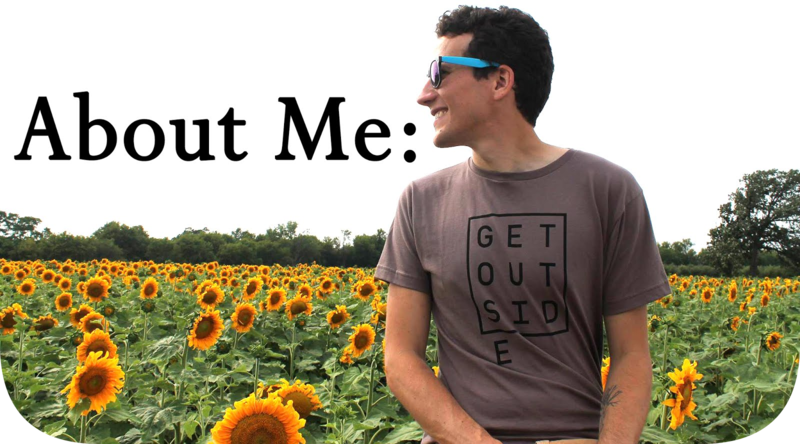 Instead of returning through the caves, I took the 0.4-mile Rim Trim, with drop-offs over my right shoulder, to the High Peaks Trail which I trekked up until I found a ledge to catch the sunset from and journal. This really is a spectacular national park. The silence, the colors, the intriguing displays of rock- there's just so much here at Pinnacles to be thankful for. After dusk fell, I returned to my tent and cooked dinner, then strung a hammock between to trees and curiously gazed one of the most surreal shows of stars unfold up above. Every constellation imaginable and the Milky Way, all came out bright to dance the black sky. On my last day, I woke up early just shortly after sunrise and packed up my tent, carefully ensuring it would survive two flights in the belly of a Boeing 737 back to Wisconsin. I found a picnic area with a scenic view to pull over and enjoy some oatmeal prepared over my camping stove. 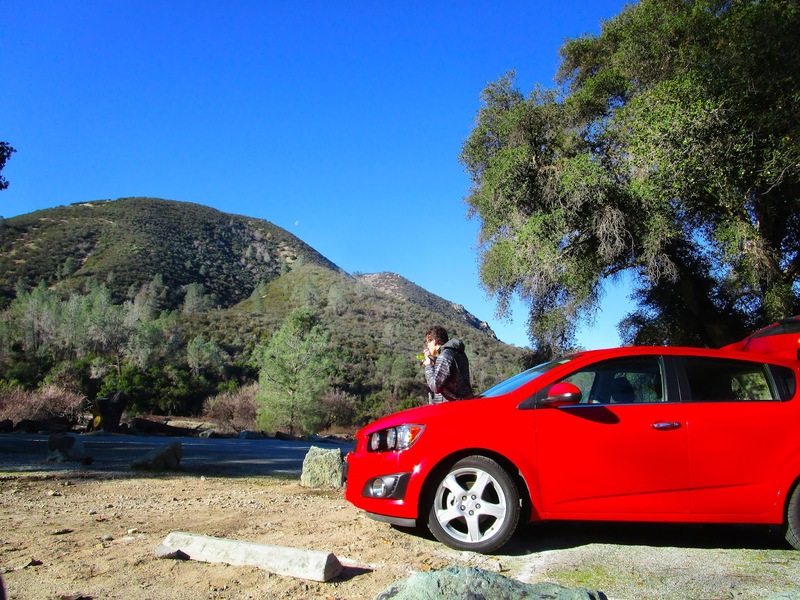 When it was ready, I leaned against the hood of my rental Chevrolet Sonic RS hatchback, a brilliant little car, and absorbed one final view of Pinnacles' mountains underneath a bluebird sky. Look closely and you might see the wee little white silhouette of the moon to the right of the peak off in the distance. I hope this travelogue encourages you to add this under-the-radar national park to your bucket list. Pinnacles is an admirable, different place. A place of solitude and 26,000 wild acres of terrain for you to call home. 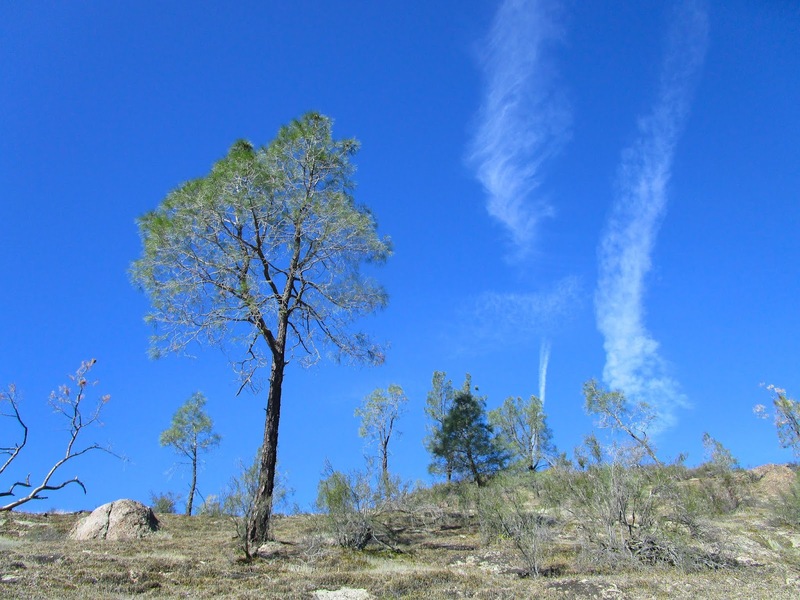 Visit Pinnacles National Park's website here.